After two fantastic years of PS4, Playstation 5 is here. It’s been two years since the Playstation 4 was launched and while there’s no official announcement regarding the next console in the line. There is no dearth of news reading the console, and the latest rumor surrounding the PlayStation 5 is that it will be powered by the very powerful 10 teraflops. 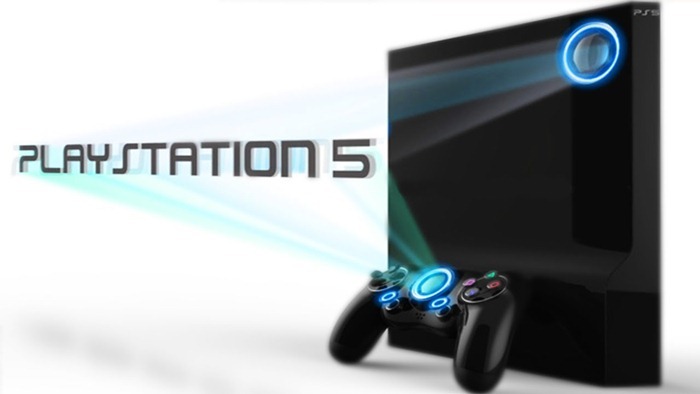 The rumors seem to fall in line with the previous speculation that the PlayStation 5 release date 2018. The clamor surrounding the release of the Sony PlayStation 5 had gotten louder since the release of the Xbox Project Scorpio last year. Sony, it seems, will have to come up with something better to stay one step ahead of its most immediate rival. Macquarie Research Analyst Damian Thong is renowned for making accurate predictions had predicted that the console would be coming out in next year, that is, 2018. So coming to what will power the console, the rival Project Scorpio promises to deliver six teraflops of power, so the news that PS5 will be coming with 10 teraflops of power is really a great step of advancement for the console. And we are already looking for the release of PS5. Along with all these, there are new that the console might be coming with 4K features and the piece of equipment could be virtual reality or VR compatibility. The PlayStation is created and owned by Sony Interactive Entertainment since December 3, 1994. The original console was launched in Japan. It was the first video console series to have shipped 100 million units – a mark they reached after 9 years, 6 months since its launch. The next one – the PlayStation 2 went on to become the best-selling home console to date, selling some 155 million units by the end of 2012. Sony’s next console, the PlayStation 3 was launched in 2006 and sold 80 million units by the end of 2013, and finally, the PlayStation 4 was launched in 2003 and sold some 1 million consoles within the first 24 hours. The PS4 was the fastest selling console in the history of consoles. The reception of the PS4 was overwhelmingly positive which makes the anticipation surrounding the PlayStation 5 really big, and by the looks of it, the PS5 will be huge. Previously it was being believed that the PlayStation will we rolling out in the year 2020, but now new rumors suggest that the console will be releasing in the next year, i.e. 2018. Several of the PS fans are really worried if the console will be VR compatible. There really isn’t any reason why it shouldn’t be. The virtual reality technology saw many advances in the year 2016. It is the technology of the future that we can use today. With the release of the PlayStation VR, there is no doubt that the technology will be available for the next PS console too. As for now these are just rumors and should be taken with a pinch of salt. We’ll be posting as soon as we have some official word. Meanwhile, keep your fingers crossed for until for a 2018 release of the PlayStation 5.